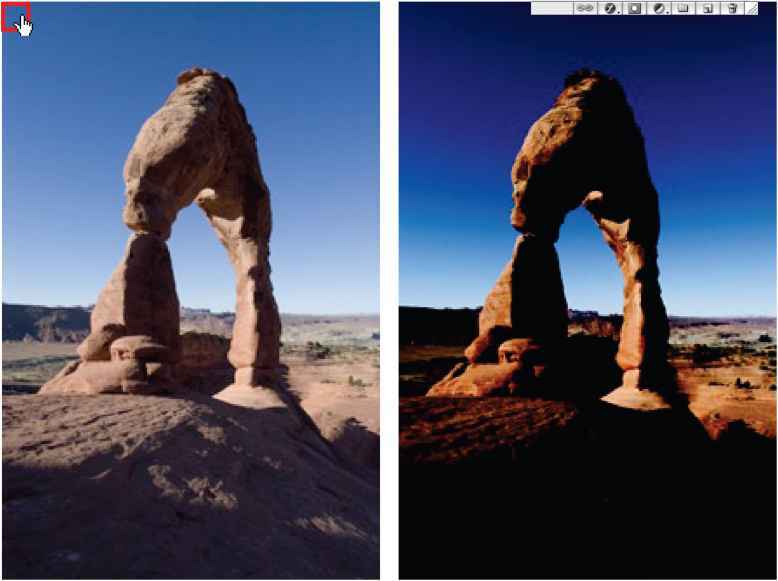 Adjustment layers and fill layers have the same opacity and blending mode options as image layers and can be rearranged, deleted, hidden, and duplicated in the same manner as image layers. By default, adjustment layers and fill layers have layer masks, as indicated by the mask icon to the left of the layer thumbnail. If a path is active when you create the adjustment or fill layer, a vector mask is created instead of a layer mask. To confine the effects of an adjustment layer to a group of layers, create a clipping group consisting of these layers. You can place the adjustment layers in or at the base of the clipping group. The adjustment will be confined to the layers inside the group. (See "Creating clipping groups" on page 319.) Alternatively, you can create a layer set, and have the set use any blending mode other than Pass Through.